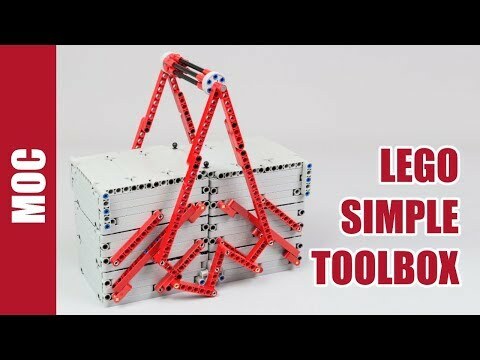 After making my last creation (Leaning Tricycle) using Buwizz, I wanted to re-test sbrick, as it never worked for me and my google phone since I have. And I was surprised that the dev team have made a update and it finally works on my asus phone ! So I would like to make a little creation to test it. 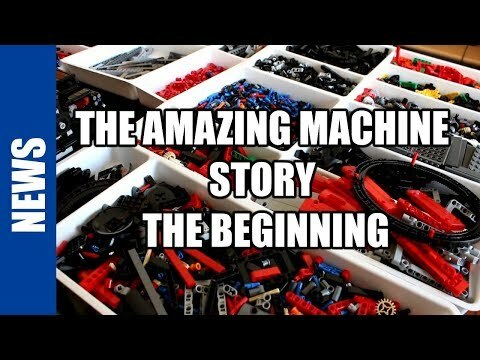 The idea was at first to build a small 4 motors creations to be controlled by the buwizz. 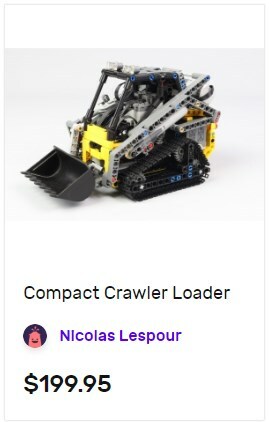 But I do not want to make an other crawler or wheeled loader, so I add the challenge to make the smallest crawler loader I can. 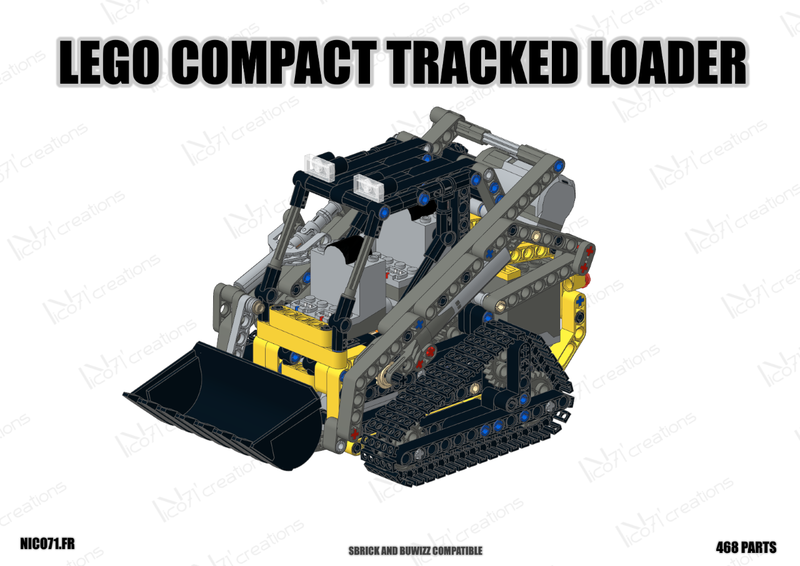 The tracked loaded is build using only M motor for the small size. 2 Of them are located in the chassis underneath the cabin and drive each track with 12/20t and 8/24 gearing ensuring a good speed with accurate control. Note on this picture that I have placed the battery box upside down in order to fit the wire. The lifting of the boom is powered by a M-motor placed behind the drivetrain. 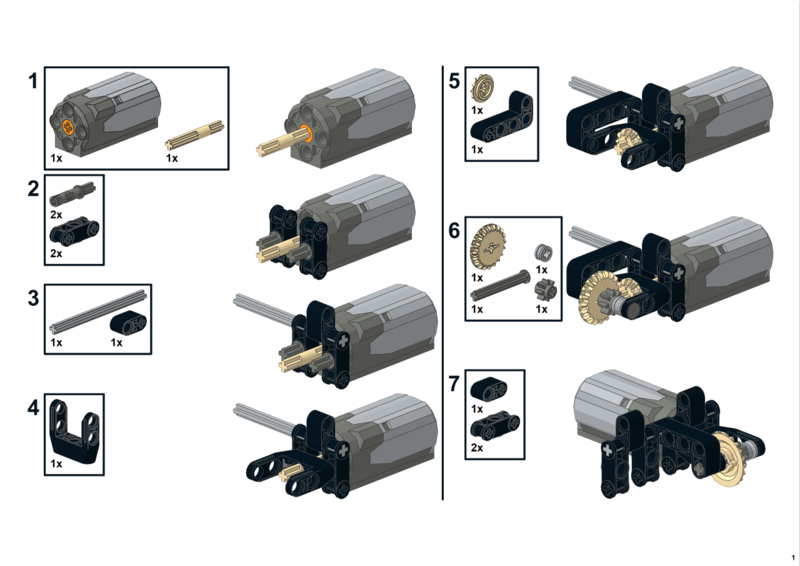 It operates two linear actuators. Note that the model of inspiration was the John Deere 323 who has a interesting boom mechanism, composed of 2 links which differs from the classic Bobcat mechanism wich long rod. This mechanism enables here to have better travel for the bucket but also a better force repartition. In deed the load tends to pull the connecting rod in steel instead of the actuators. 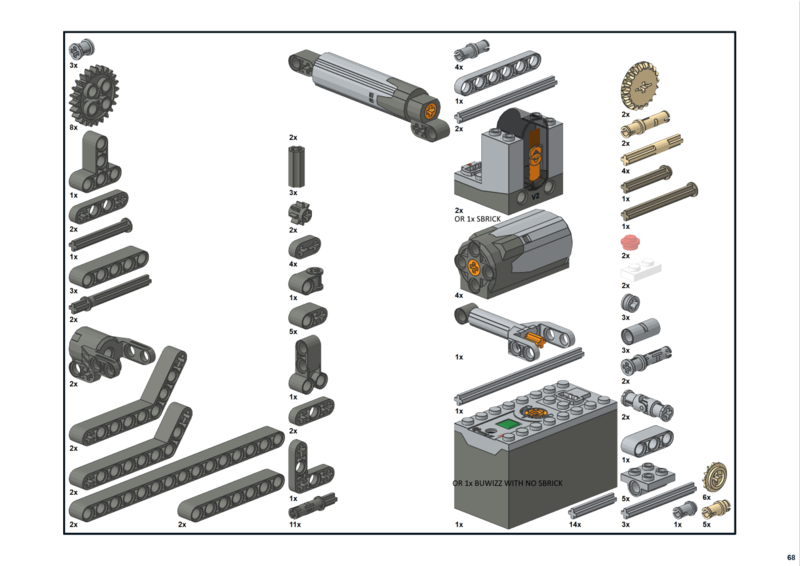 Here is in lego enables to have compact solutions and high travel. The tilting of the bucket is at least powered by a M-Motor which drives a small linear actuator on the righ side. Then a system of lever and connecting rod ensuring the tilting of the bucket. At the begining I use worm screw and 8t gearing for tilting the bucket which was a more compact solution but was too fast and not accurate. 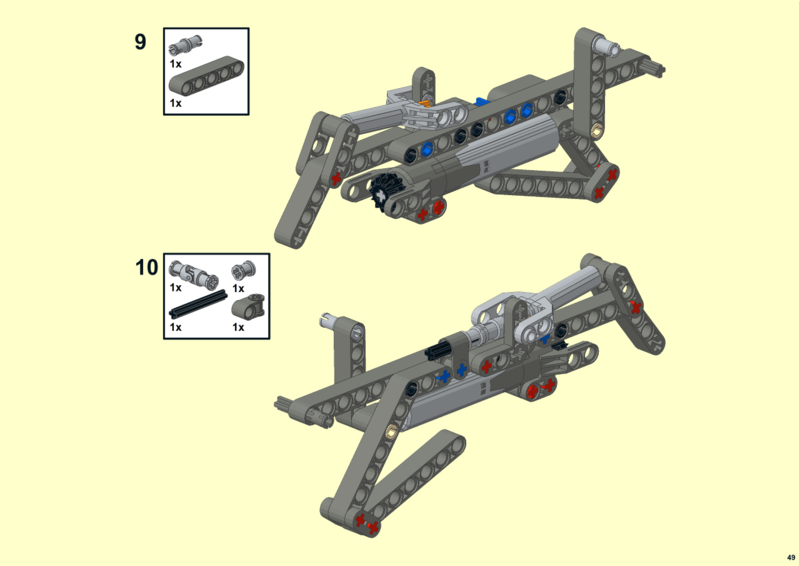 Therefore this solution is a bit less compact but still have a better accuracy of position which is better for playbility. 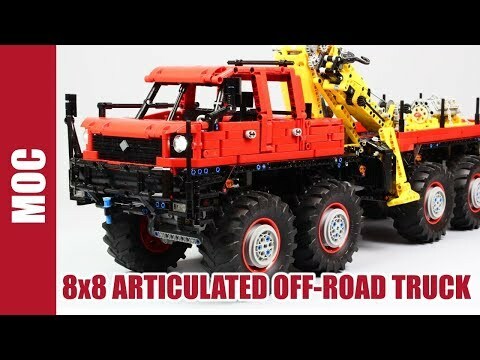 To conclude, this moc is very compact and playable, with 4 functions in it, this is one of the smallest tracked loader in lego. I use lipo battery with sbrick, but this is also compatible with classic IR receiver (need 2 and there is enough room in the cab) or the buwizz instead of sbrick plus lego battery box. This model is not equipped with light but you can easily add it. 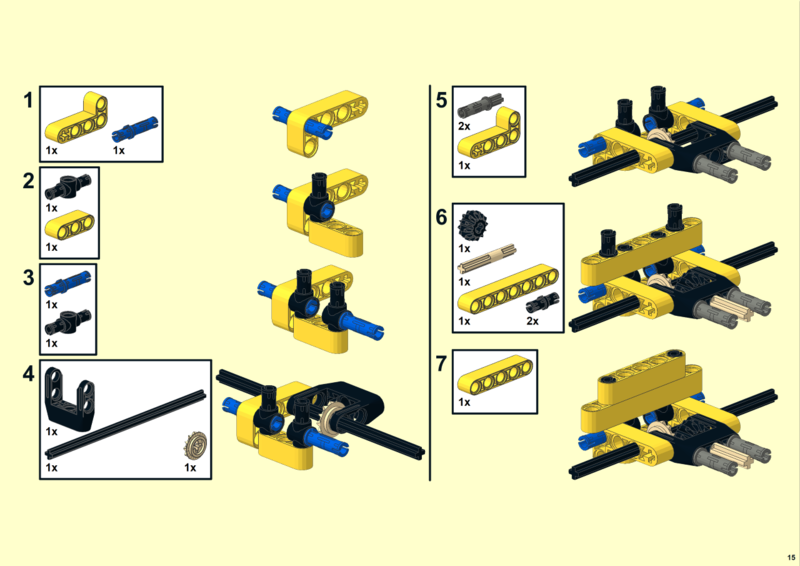 You can now buy this creation from mochub, you will receive the parts and the instructions as PDF. 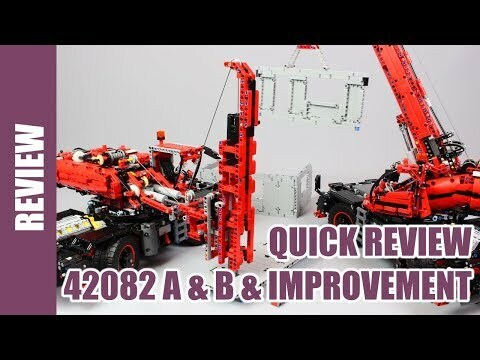 After making this small moc, I wanted to make the instructions in order to enable you to rebuild it because this is a good moc to play, one of the smallest loader and can be equipped with sbrick or buwizz or lego Ipower functions solutions. I have created consequently two building instructions. One for sale at 5€ with pro looking (like the official lego one), and one for free based on detail photo sequence. Therefore, you can buy it to support me, or just watch it for free, as you want. 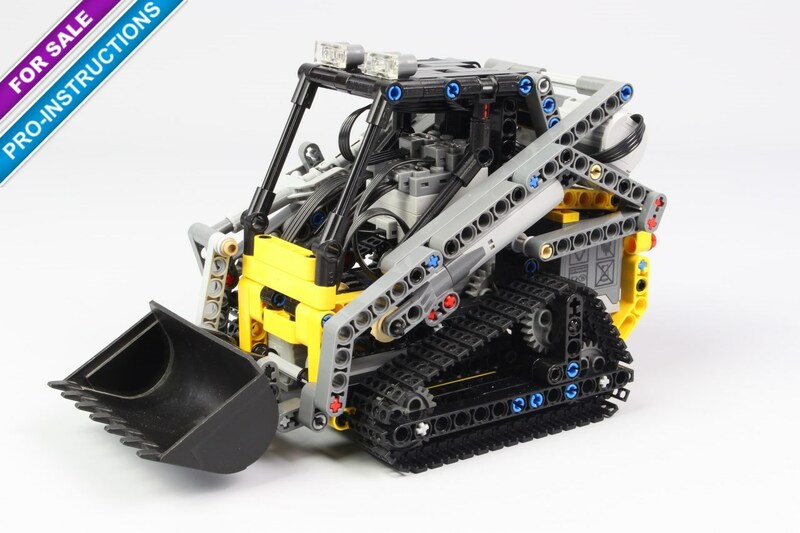 Want to know if you can build the Compact Tracked Loader ? 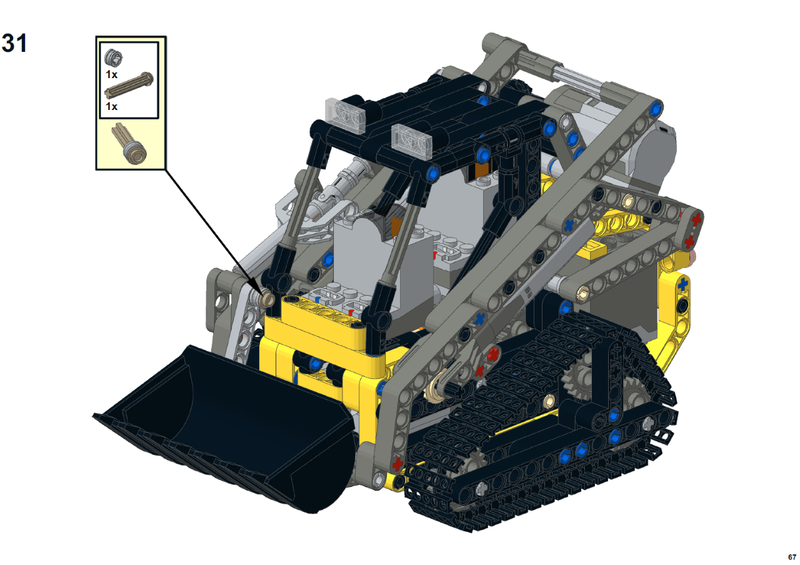 The Compact Tracked Loader has been indexed to rebrickable, check it ! 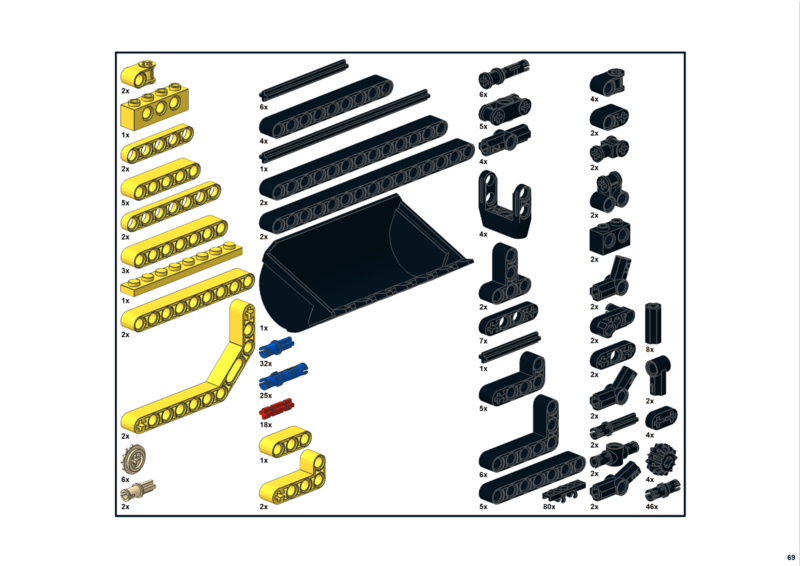 By using the next up paypal button, you will get the pro-building instruction in PDF for 5€. Important note : the wires are not represented in this instruction. 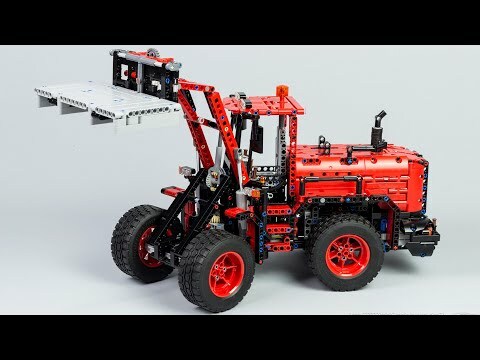 You can help you by watching the free photo sequence but the main point is to connect the motor on the receiver and put the rest of wire in the cab, nothing more complex. This is the same size so yes I guess (‘I do not have one for testing). Hi Nico! Very good creation. 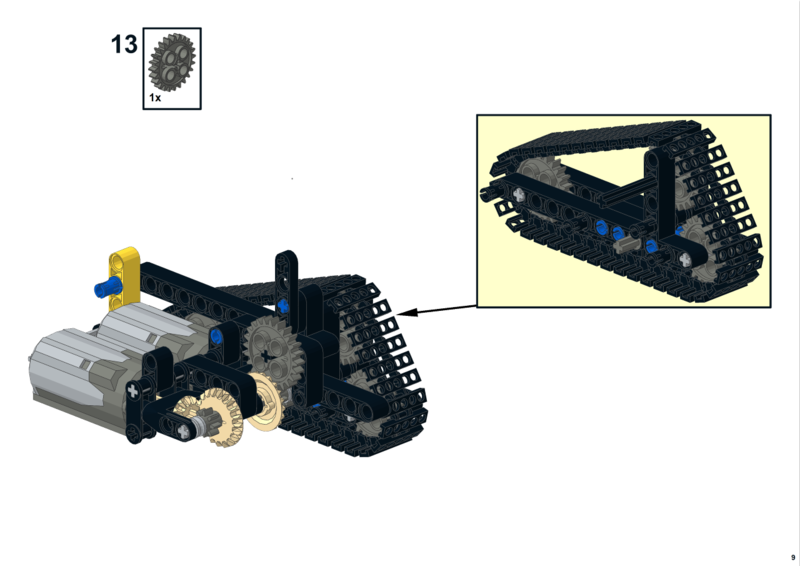 Can I use the 8881 Lego Technic battery box and not the lipo battery?